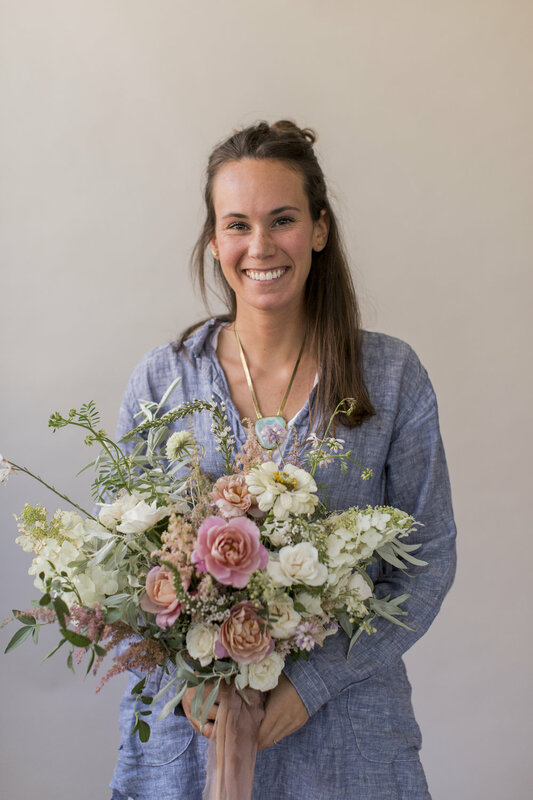 Wild Pollen Design is my creative outlet and I love playing with lush blooms and overgrown greenery. I am very much inspired by nature, color and the way flowers interact and compliment each other with their variations, textures and many inconsistencies. My designs aspire to incorporate the romance and raw movement of each individual bloom all while playing with unique and seasonal color palettes. Every single flower has it's own story and my goal is to take these stories and design something that people can experience and explore through the layers of beauty. I truly love collaborating with a couple to create flowers that are not only unique to their event, but help to tell their story by taking inspiration from them, the season, and the surroundings of their event. Wild Pollen is based in Maryland, but serves DC, VA and beyond! "When you take a flower in your hand and really look at it, it's your world for the moment. I want to give that world to someone else..."